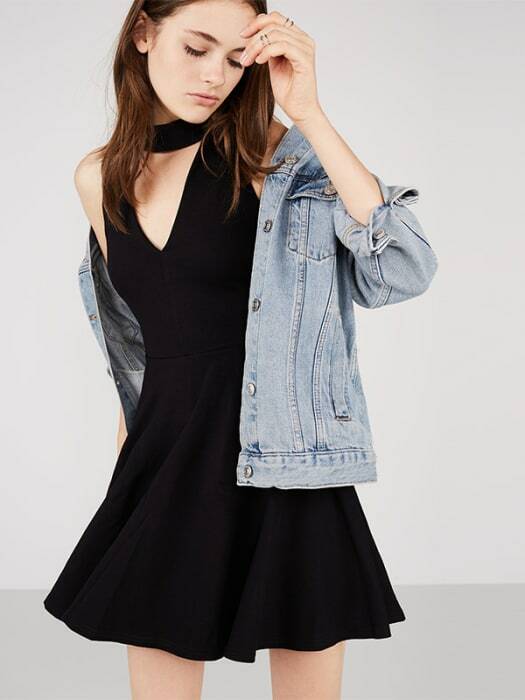 Prep that party season wardrobe before the invites start rushing in with our Black Choker Neck Skater Dress. 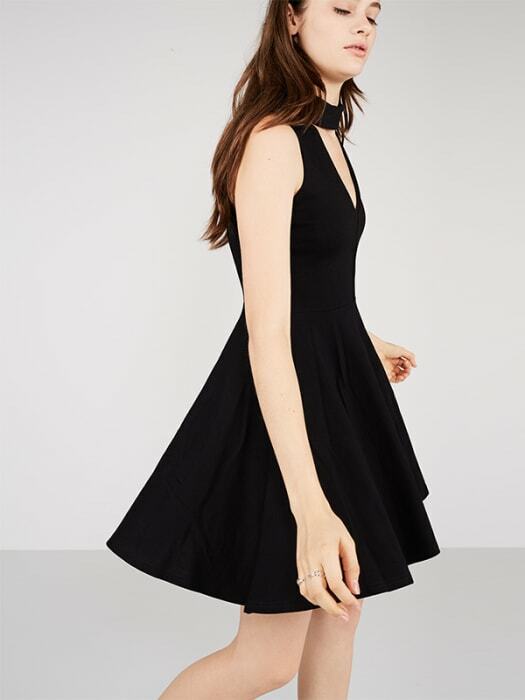 An LBD with a difference, the cuff collar adds a nineties vibe to the tradish’ styling, while the floaty skater skirt provides an eye-catching flicker of movement. Throw denim over the top for an offbeat twist on the trend.